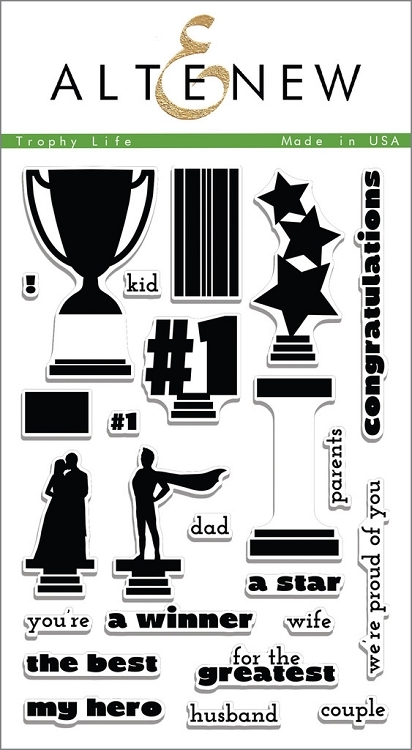 Our mix-and-match trophies pair with a variety of sentiments for congratulations, encouragement, or appreciation cards. Whether you are a kid or an adult, everyone deserves a trophy! This is a 4 x 6 in stamp set containing 24 stamps made in the USA from high quality photopolymer.